I am always interested to see what I might wear from one of the big box stores, and their largest size. 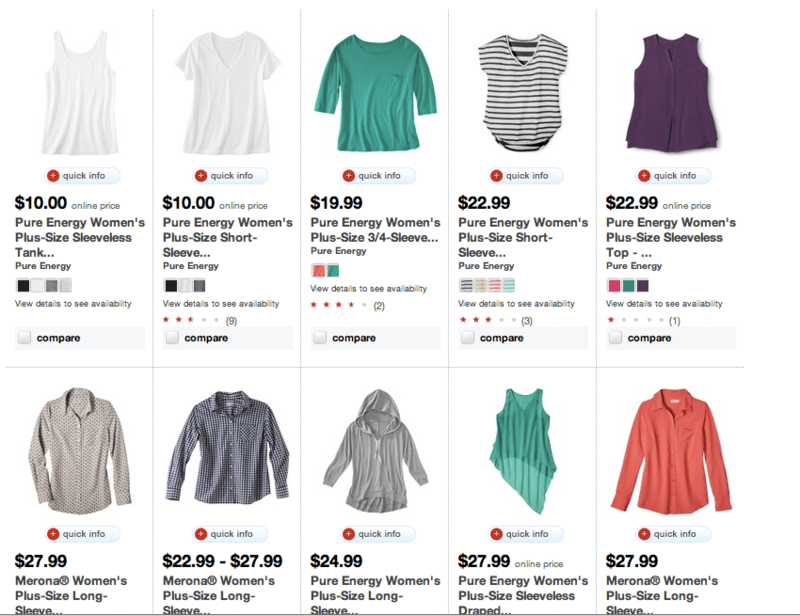 Target carries up to a Size 28 (see Size Chart below). Of the dresses above, I could wear most of them and be happy about it. 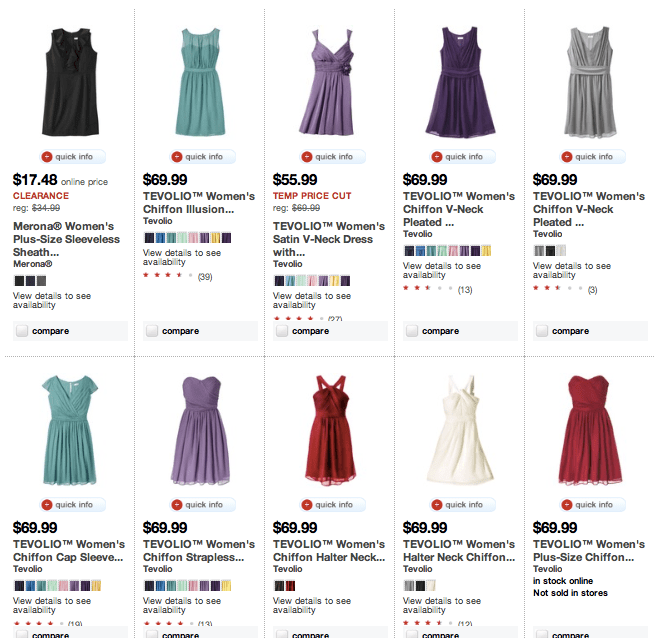 I tend toward sleeveless, strappy dresses, and I was surprised by how many of those there are. I was also impressed with the array of bestselling tops in a size 28, but these top sellers were much more casual than the dresses, but included several cute styles. I would definitely call these choices a win, and even the Mossimo Brand size chart looks quite generous, especially in the waist, where I am quite large. Maybe it is time to check out Target.